We recently had a school reunion and during the organising stages it was suggested that a “Photo & Memories Album” should be put together, we have started the project and have written the program that will display images and text in an electronic book on a computer. 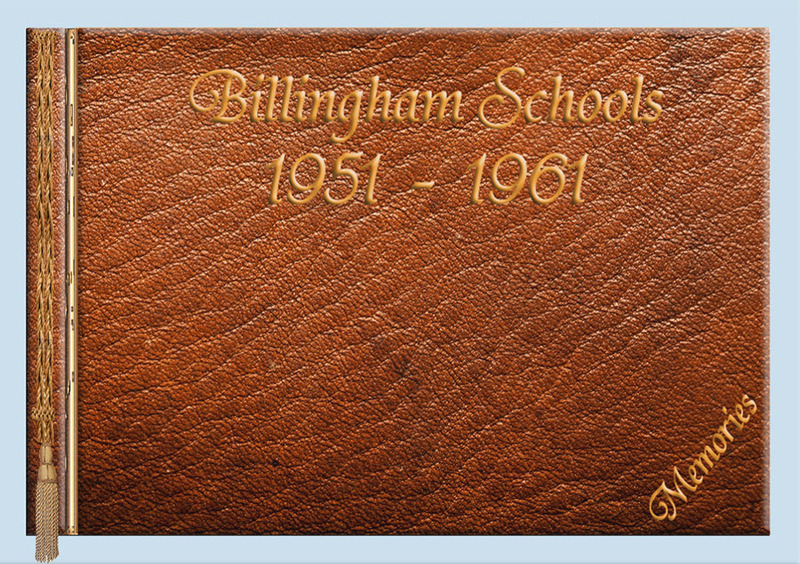 We are trying to contact as many people as possible that are Billingham Baby Boomers -that is anybody born between late 1945 and late 1946 who attended any Billingham School between 1951 and 1961. We are interested in photographs, anecdotes, memories and anything associated with school years, who was your best friend?, did you keep in touch?, did you contact them through social media in later years?, imagine you are sat with a group of old school friends over a coffee or a beer, you reach the “Do You Remember” stage, what do you talk about?, who do you talk about?, everybody has a memory of something that happened at school, sometimes good sometimes bad, sometimes a shared experience sometimes an individual experience we all had teachers we liked and others we disliked, Miss Fletcher anybody? This album will be of interest to the people involved but we are mainly trying to create something for your children and grandchildren and even further down the line, most of us just accepted our parents as “Being There” and never gave a thought to how they had spent their formative years, that is until they are no longer with us, then we say “I wish I’d asked my Mother/Father about themselves and their early years when I had the chance”. The “we” that are mentioned above are myself Bruce Coleman and Brian Storey, Brian will be known by many people in the Teesside area as he has been teaching in various schools for close to 50 years and is still teaching to this day. Please don’t hesitate to make contact, when the album is completed it will be freely available to all, please help us make this work. Information courtesy of Bruce Coleman. G’day from Australia. I was born in 1941 but went to South Modern all my school years… and certainly between 1951 – 1955-6. I was head girl, Hilton house captain and Hilton games captain. Would you be interested in any comments from me? I used to correspond until a year or so ago with my best school friend Helena Gregory (Guest) but I fear she may have died as I cannot contact her. I’d like to get in touch with Ann Morris. I’m still in touch with class buddy Ian Patrick who now lives in Spain. We will be very pleased to add your reminisces to the album, if you send an email to billinghamlad@gmail.com you will get an automatic reply explaining what the album is about and you will also find an address you can go to and download the current version of the album, we are in touch with Pam Laws, her father taught at the South Modern, you may remember her as she is about your age. If you want a personal reply just mention it in your email and I will get back to you.